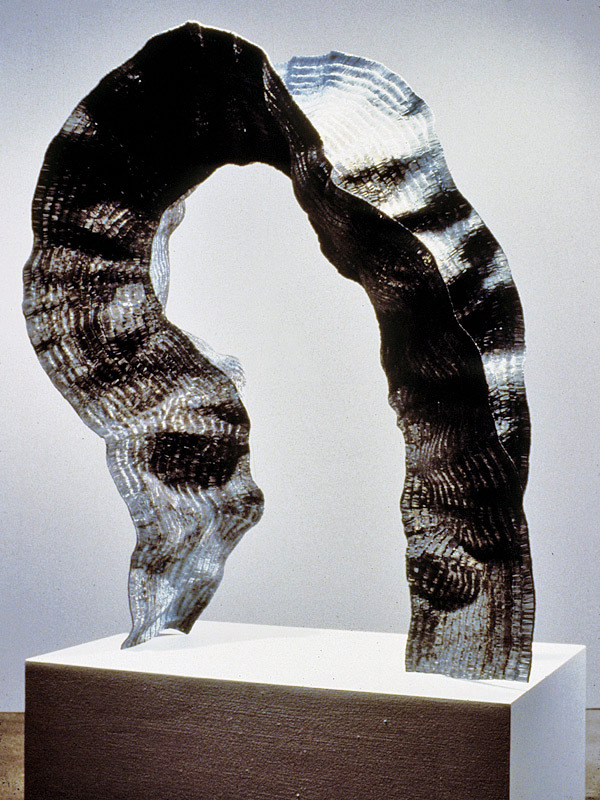 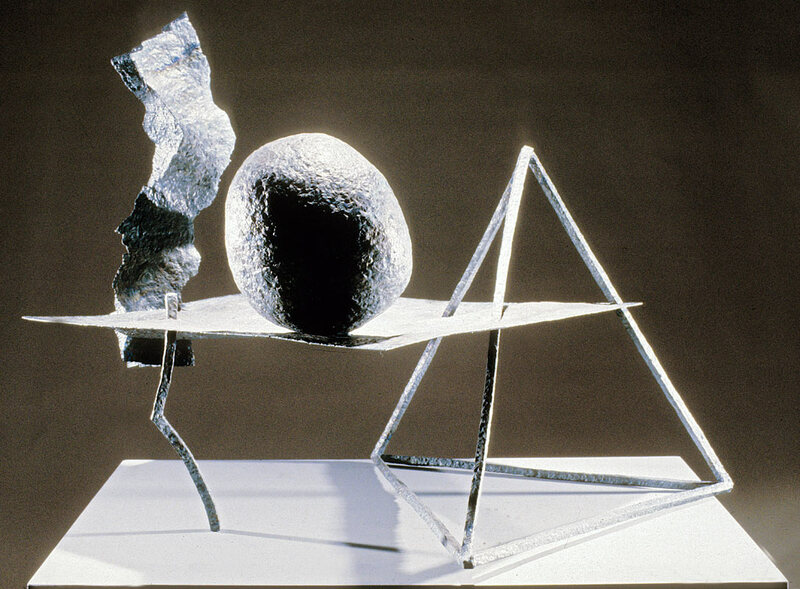 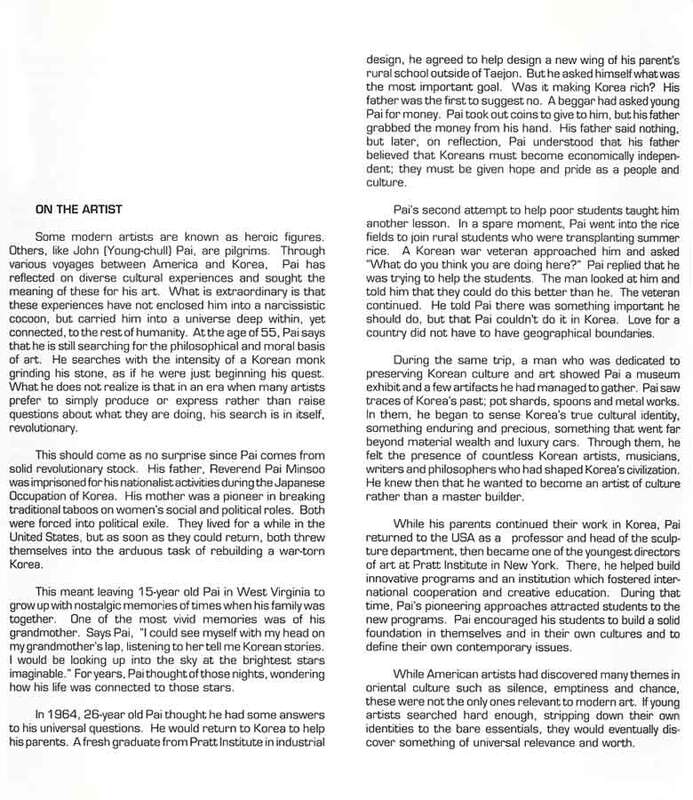 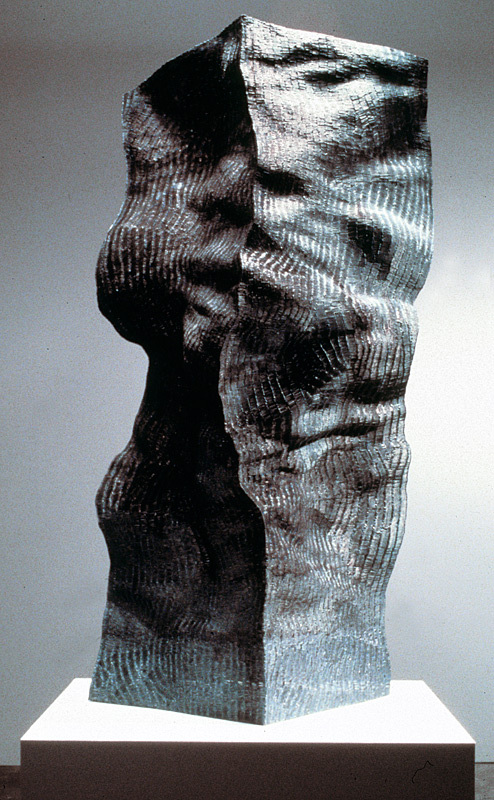 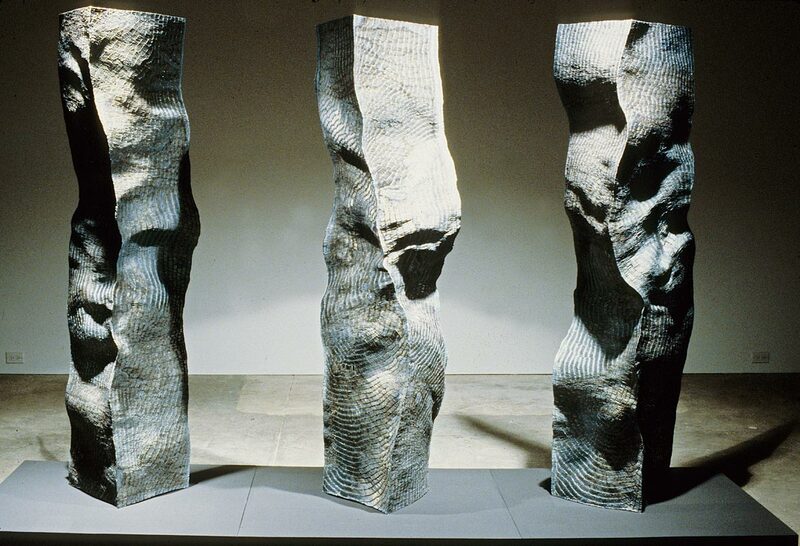 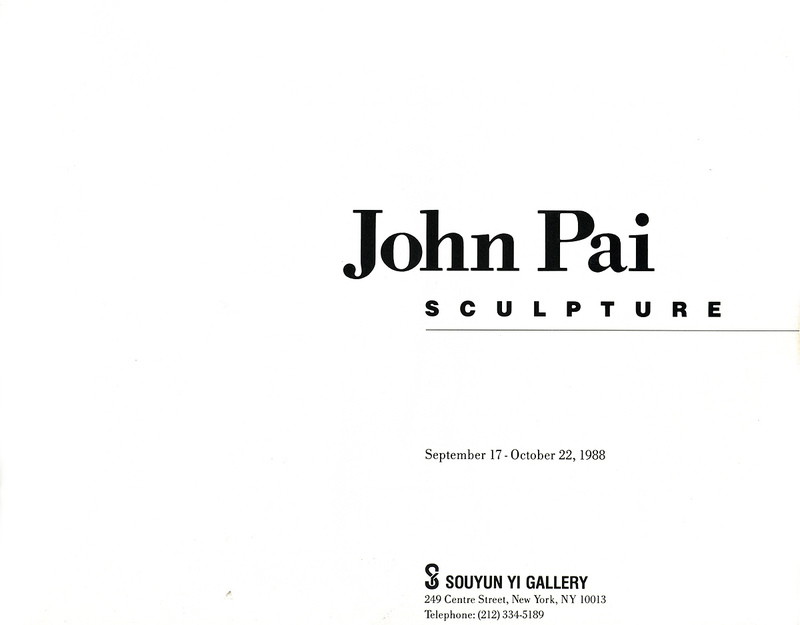 Excerpts from exhibition catalog for "John Pai: Sculpture" at Souyun Yi Gallery, New York City, from Sep. 17-Oct. 22, 1988. 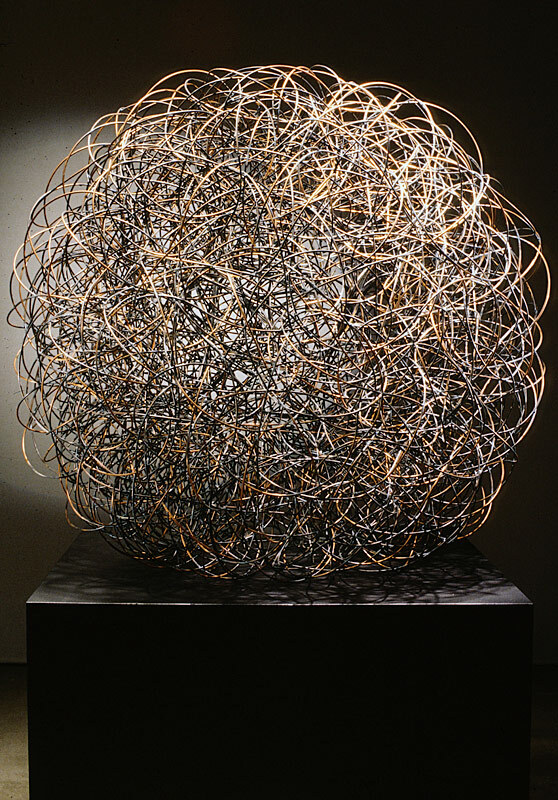 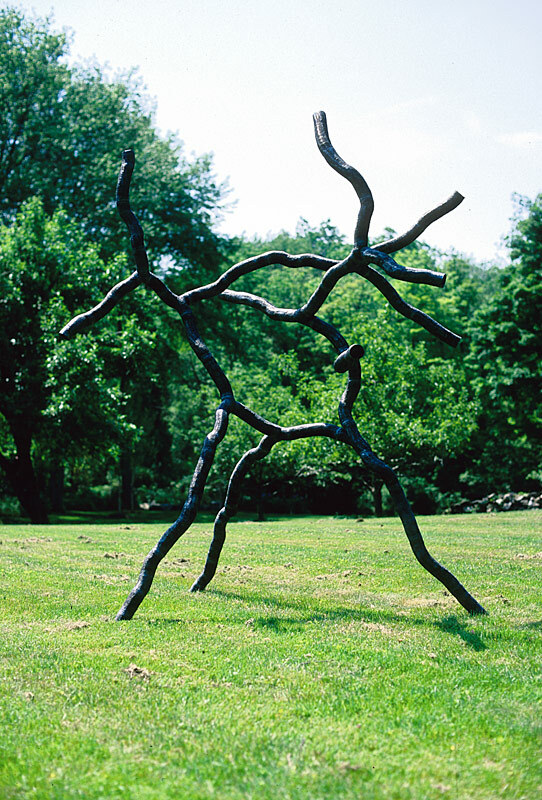 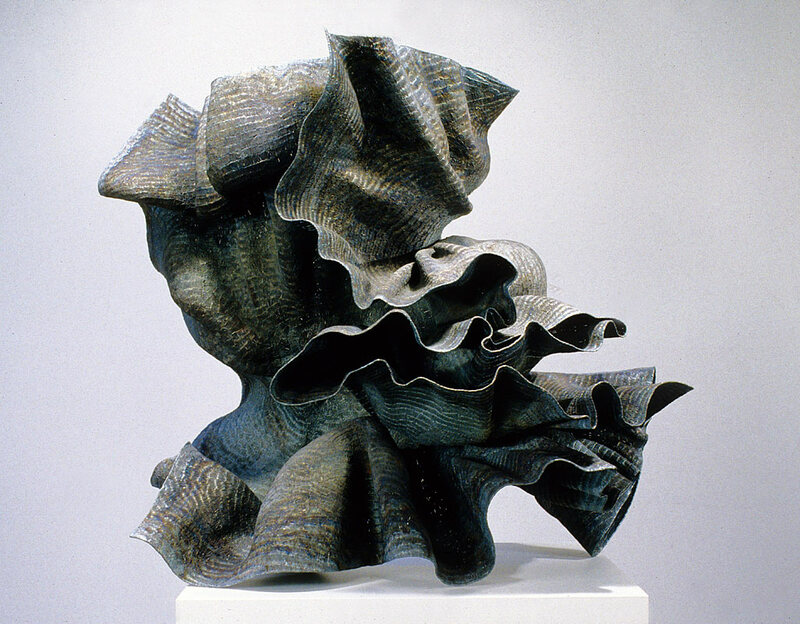 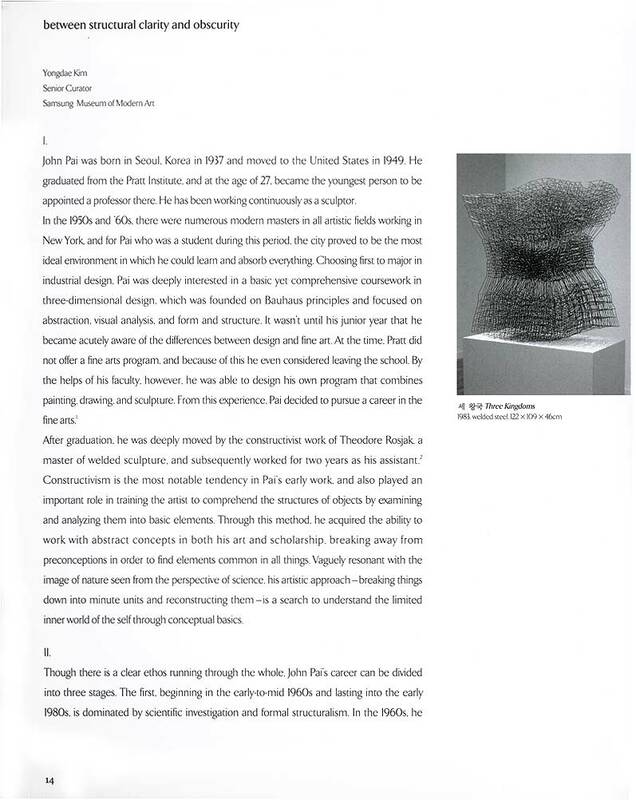 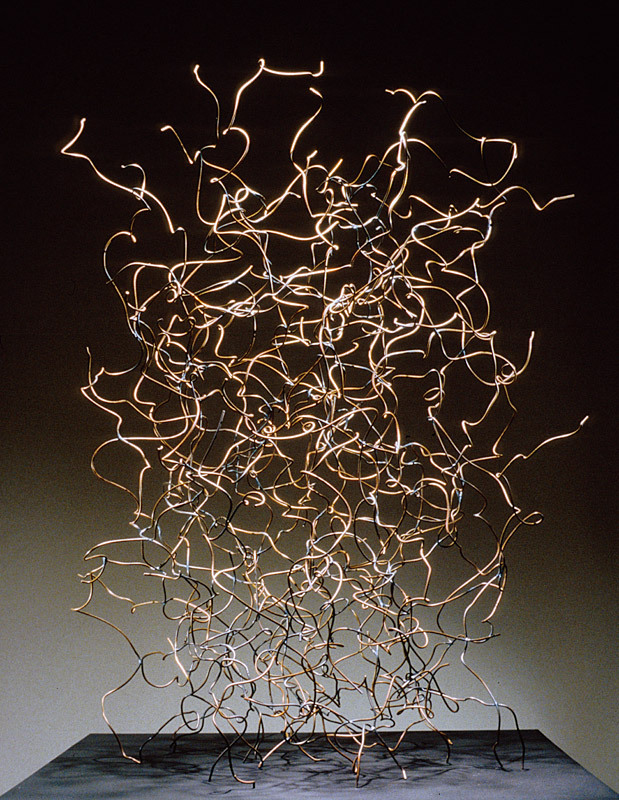 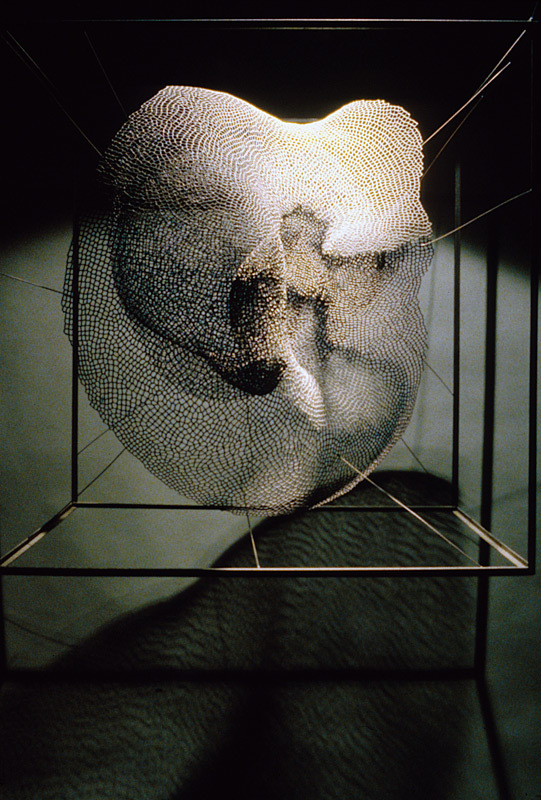 Exhibition catalog for "John Pai Sculpture: Poetics of Space" at the Rodin Gallery, Seoul, from Mar. 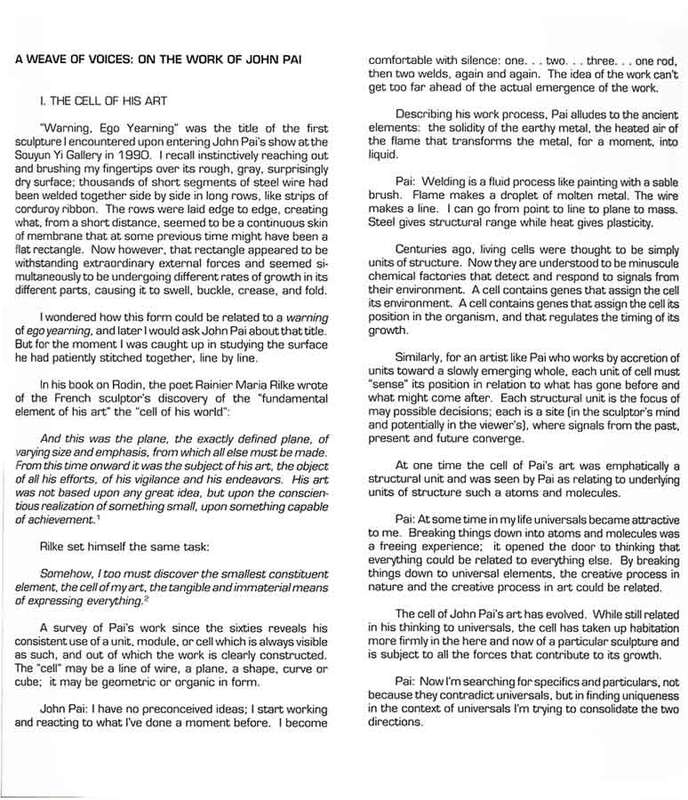 14-May 18, 2003. 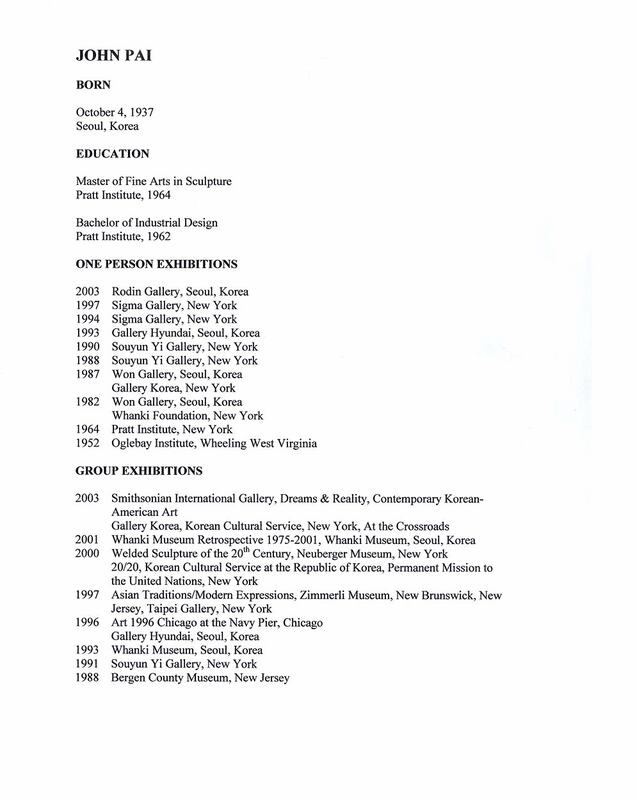 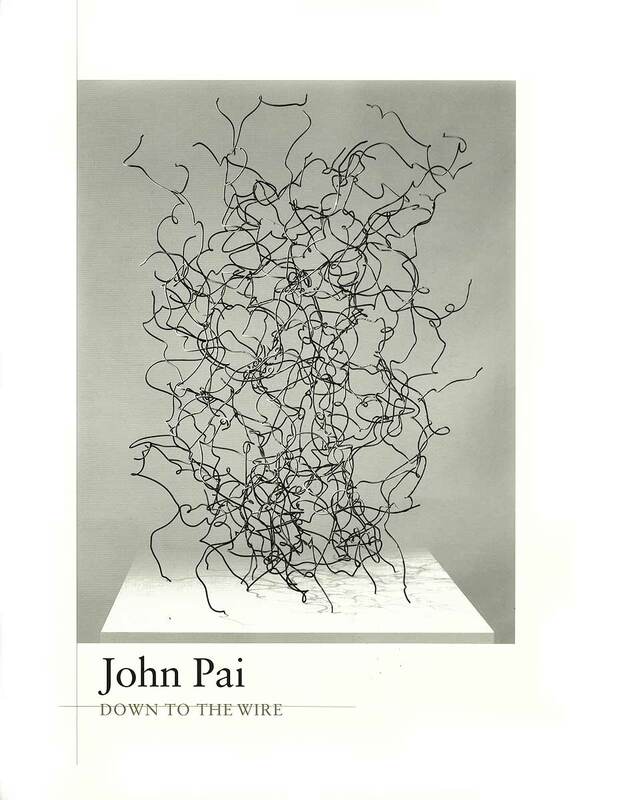 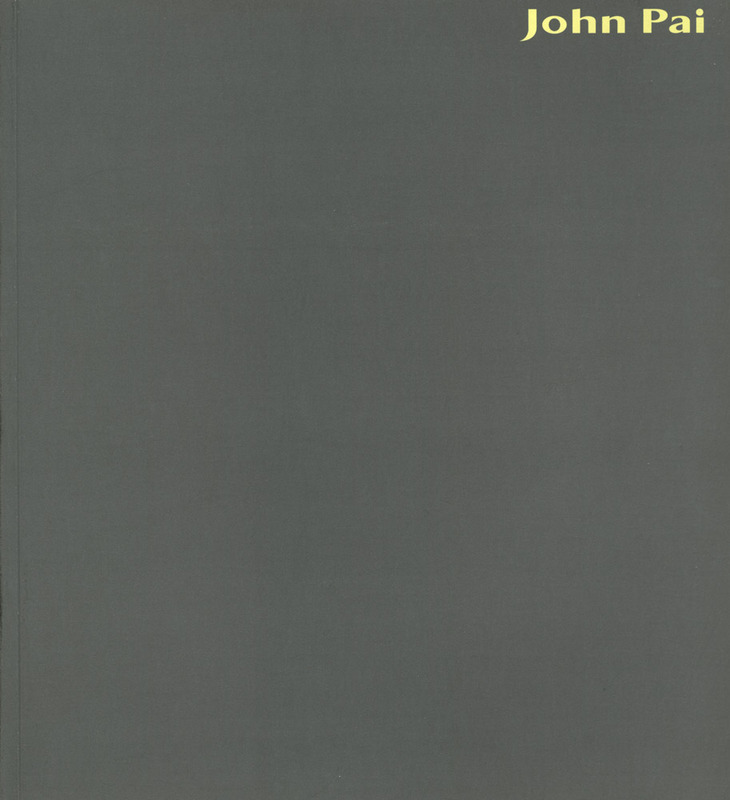 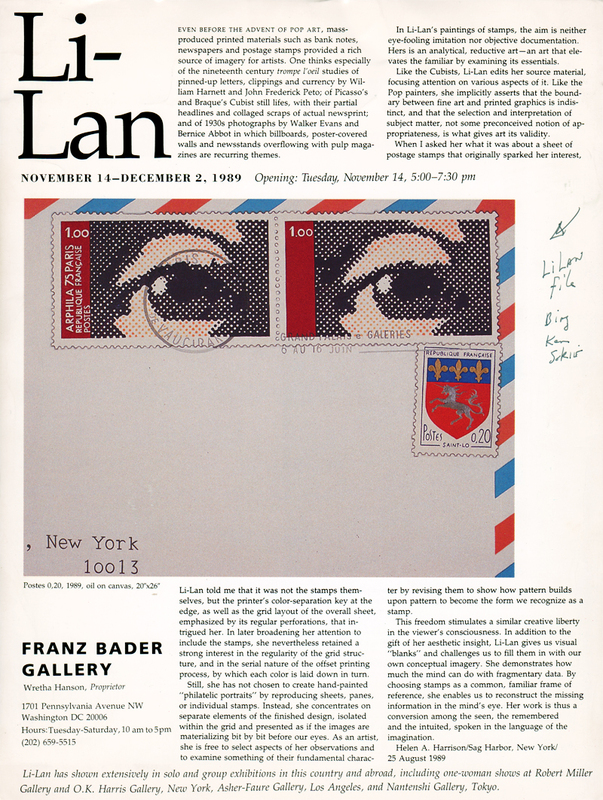 Exhibition catalog for "John Pai: One on One" at Sigma Gallery, New York City, from Nov. 4-Dec. 17, 1994. 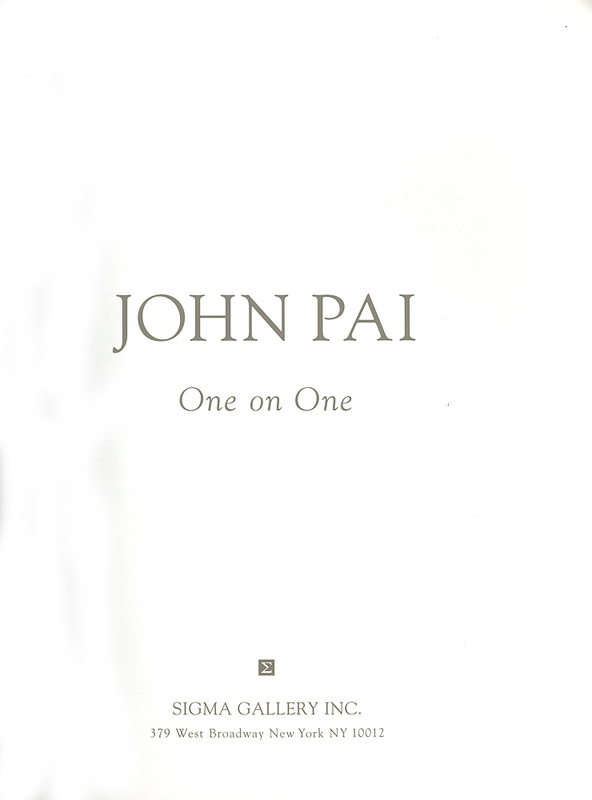 Transcript of interview of John Pai with Wolhee Choe and Ralph Caplan.